In the mainstream world, chiropractic is thought of as treating back and neck pain. But in the real world, chiropractic doesn’t heal anything!! What it actually does is remove the interference in your central nervous system, which allows YOUR BODY to restore health through its innate healing abilities ~ all on its own!! Your body functions because your brain says it must. Your brain controls every aspect of your body, and these messages are sent through your central nervous system, which is encased by the bones of your spine. If any of the bones in your spine become out of alignment, they put pressure on your nervous system. 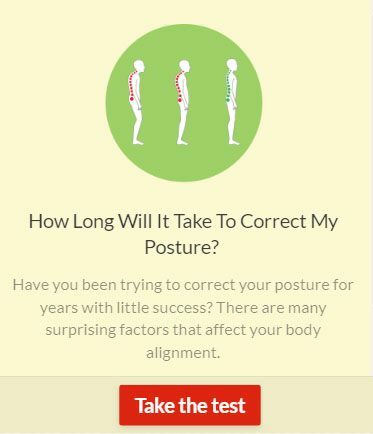 Misalignments, also called subluxations, can happen from hunching over at your computer desk, an injury, car accident, continually looking down at your phone, or repetitive use injuries. They can also happen due to stress, traumas and toxins. When your spinal bones put pressure on your nervous system, the nerves are unable to properly send all of the messages from your brain to the rest of your body to allow your body to function and heal at 100%. This is why it is critically important to have your spine checked regularly by a Doctor of Chiropractic – to identify areas in your spine that have shifted out of alignment, and adjust them back into alignment. Once your bones are trained to stay back in alignment, the interference to your nervous system is removed, and your brain can regain the ability to communicate at 100% with the rest of your body, allowing function and healing to return. This philosophy is true of healing back pain and any other health condition experienced. Once the pressure is taken off of the nervous system, the body can bring health back to the entire system, allowing back pain to resolve, health to be restored and vitality to be optimal. For example, if you had a subluxation (misalignment) at the area of your spine that allows the messages from your brain to get to your stomach, your stomach would be unable to function at 100% and you may experience various digestive issues. By removing the interference to the nerves that direct the function and healing of your stomach, health is able to return. Your body wants to be at 100% health all of the time, it just needs the opportunity to create healing by removing the interference. Interferences are generally subluxations in your spine, but they can also be emotional stress and toxins you are exposed to. To support your healing, it is important to feed yourself with care. Focus on eating as many colourful fruits and vegetables as you can, exposing yourself to a vast quantity of phytonutrients, vitamins and antioxidants. Drink lots of water, and reduce your consumption of caffeinated or sugary drinks. Remove harsh chemicals from your daily life that are lurking in all of your cleaning supplies, laundry detergent, personal hygiene products and cosmetics. You can clean 99% of your house with baking soda and vinegar! And there are toxin free shampoo, conditioners, deodorants, shaving creams, make up and more all available at your local health food store. (Stay tuned for more to come in a future blog about this topic!) To have your spine checked, find a chiropractor in your area – that will remove the interferences from your nervous system so that you can express optimal health! Remember, the very first subluxation happens at birth, so be sure to have your little ones checked too. Next articlePut Your Phone Down. Go Outside! !